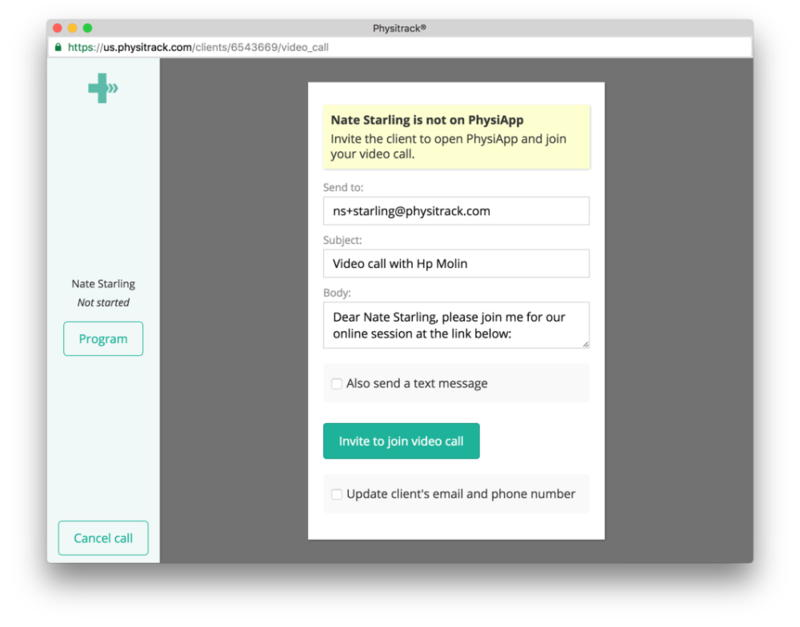 Physitrack's integrated Telehealth feature allows practitioners to have secure video consultations with clients all from within their Physitrack account (web version). 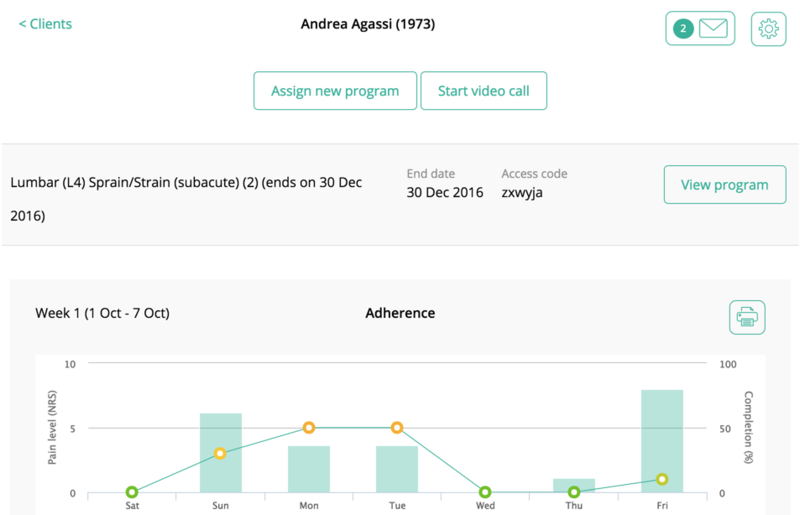 Clients securely access the video consultations via the PhysiApp client app (iOS, Android and web). Please see our system requirements before initiating a video consultation with a patient. Step 1 (optional): add a client. 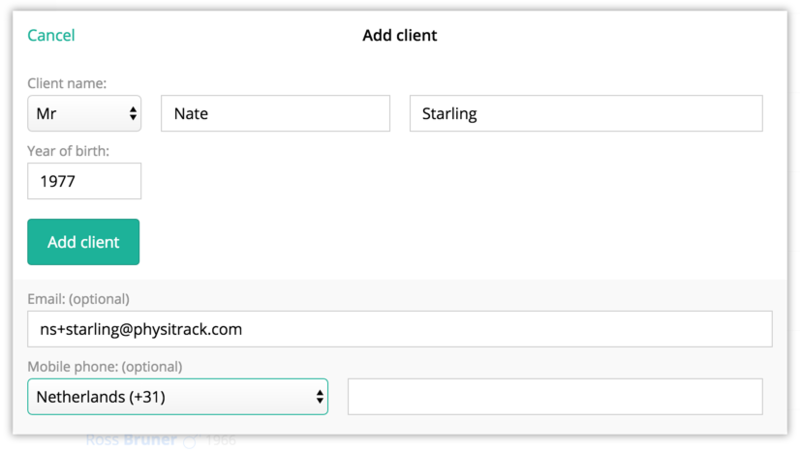 If you haven't already added the client in Physitrack do this first. 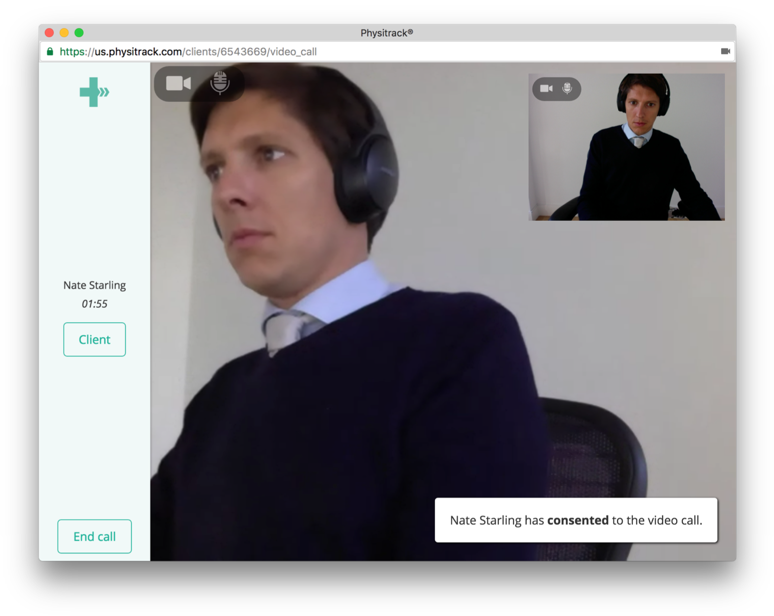 Note: if the client has the PhysiApp client app open, a "Call" button will be shown alongside the client in your main Client screen. 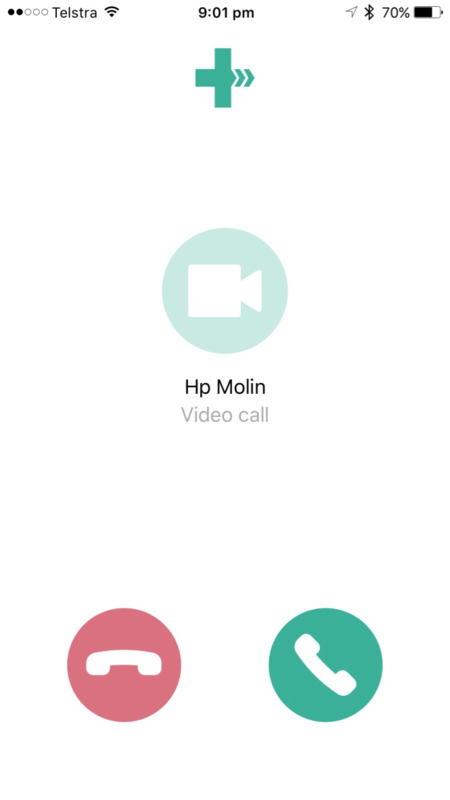 If this is a new client who hasn't downloaded PhysiApp yet you will need to invite them to join the video call. In the meantime, click on 'Turn on your camera and microphone' . 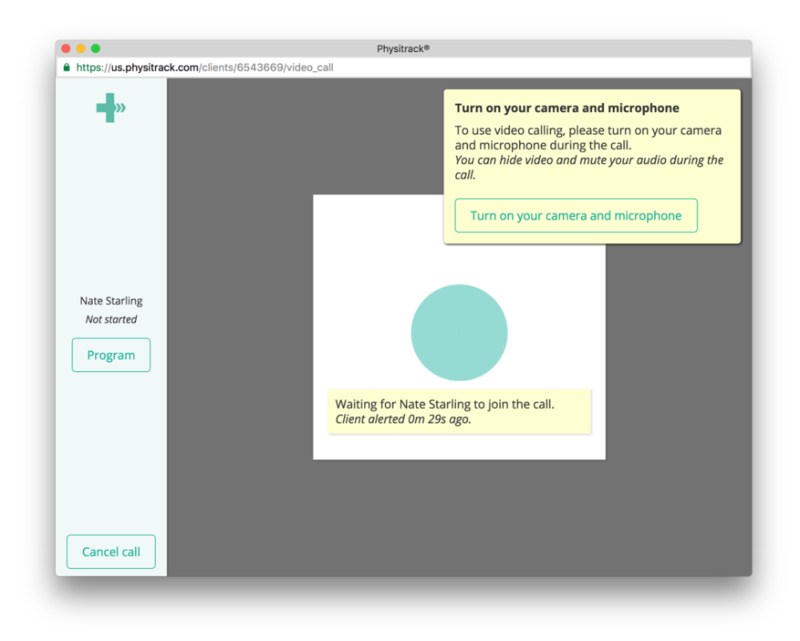 First, your client will receive an invitation to join the call. Clients can join the call from iOS and Android devices as well as most recent web browsers. 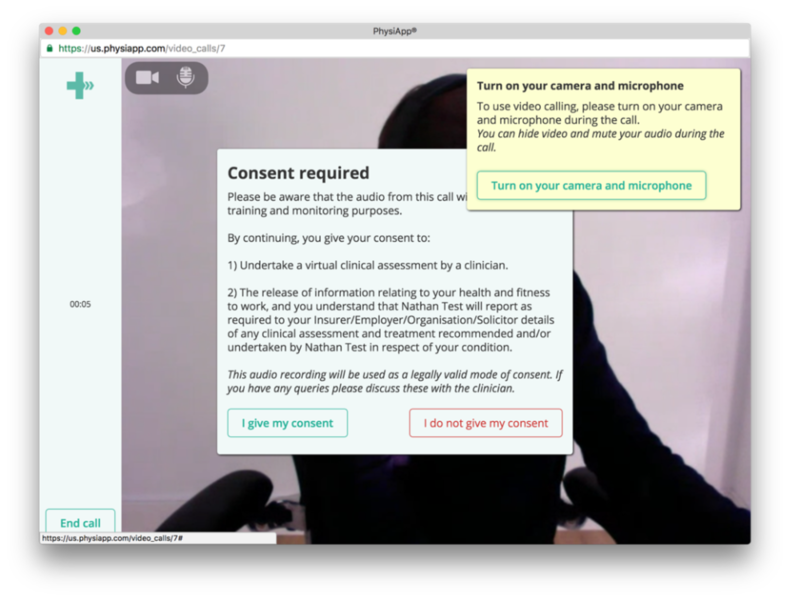 Where client consent is required, your client will see the consent message. This is what your video call will look like. The client's consent status will be shown on your end.